I really should get out more. I rarely get to the provinces - whether Danish or otherwise. That's just me. I prefer cities. Once in a while, however, I find myself out there. 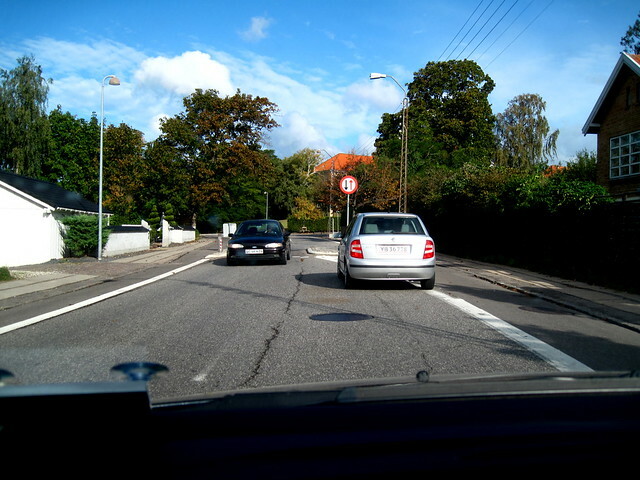 In the Danish town of Frederikssund last summer I spotted these two simple traffic calming measures. Simply narrowing the street with islands and only allowing for one way traffic through the squeeze. 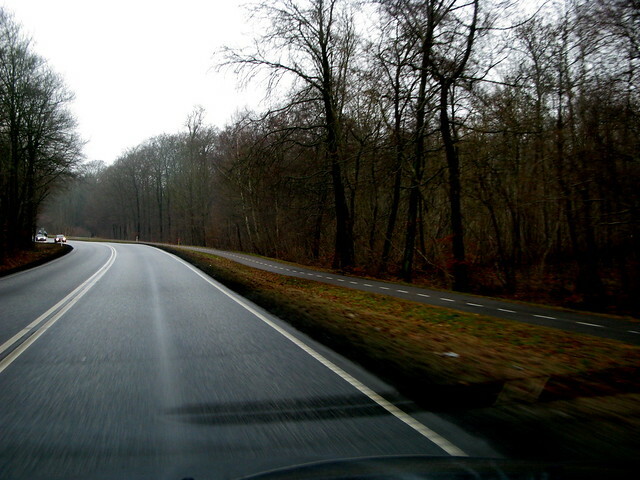 The bicycle lane, of course, allows for free passage. 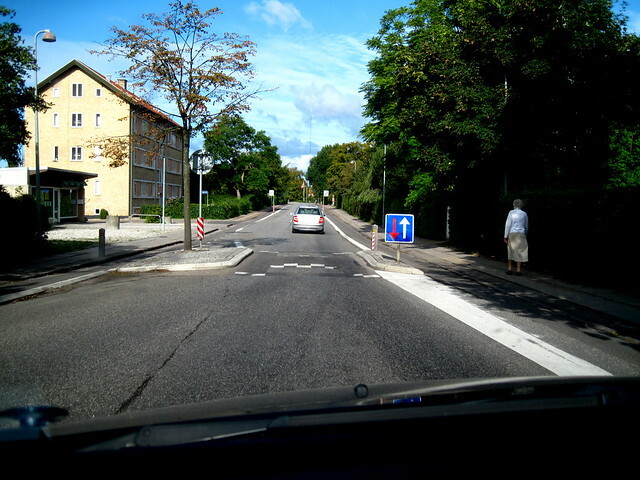 In a small Danish town like this there is often a combination of painted lines, as above, and physically separated cycle tracks - depending on the traffic volume of the street. 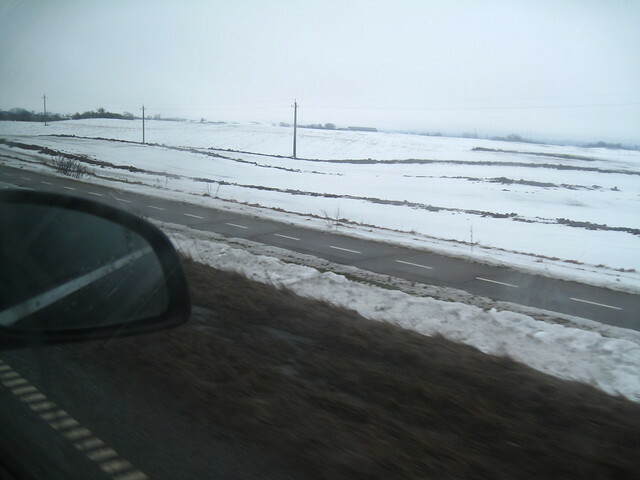 On a trip to small town in Jutland for a football tournament that my son was playing in, it was reassuring to see that along every road there were cycle tracks - and they were cleared of snow even way out there. Again, bi-directional tracks in some places and - if the traffic volume is sufficient - a track on either side of the highway. With over 10,000 km of bicycle lanes, paths and tracks in Denmark, you can get pretty much anywhere you need to go on a bicycle. Whether between two small towns or all the way from east to west/north to south. 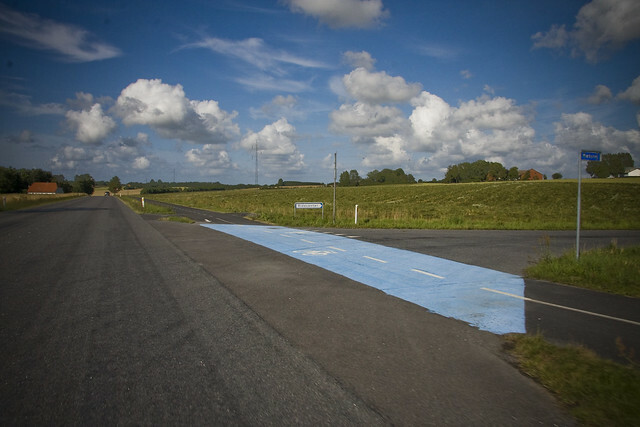 This cycle track connects two towns - one of 7000 inhabitants and the other with 10,000 - that are about 20 km apart.